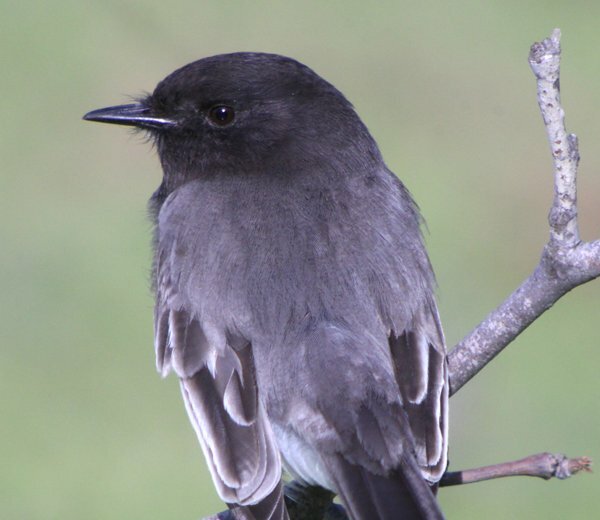 The Black Phoebe is a familiar and confiding black-and-white flycatcher that can be found as far north as northern California and as far south as northern Argentina. 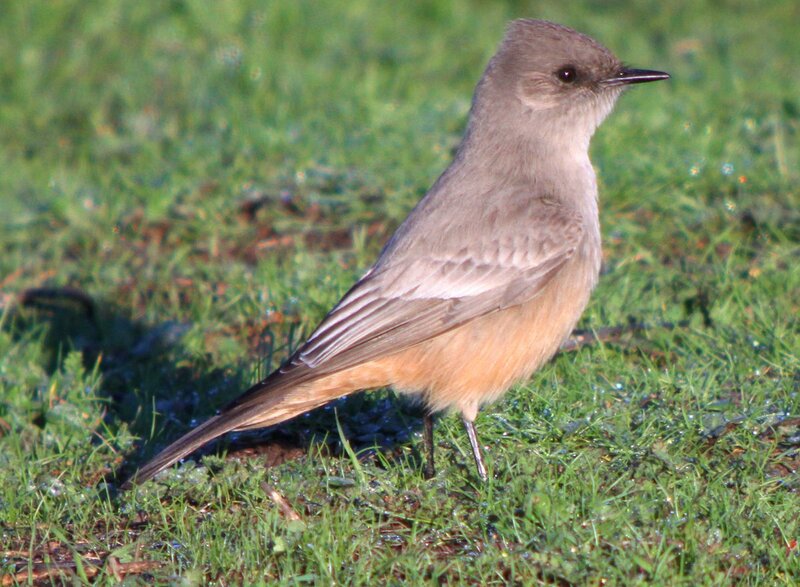 One of three birds in the genus Sayornis (the others are Eastern Phoebe Sayornis phoebe and Say’s Phoebe Sayornis saya), Sayornis nigricans is common across most of its range, is tolerant of people, and is almost always found near water. 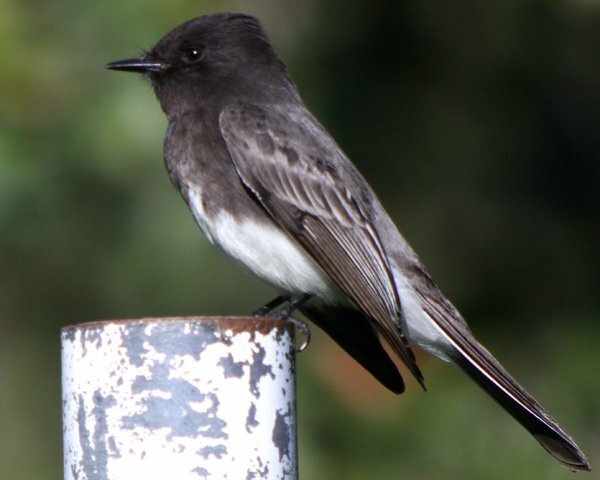 According to BirdLife International the Black Phoebe is a Species of Least Concern because of its large and increasing population and its huge range. 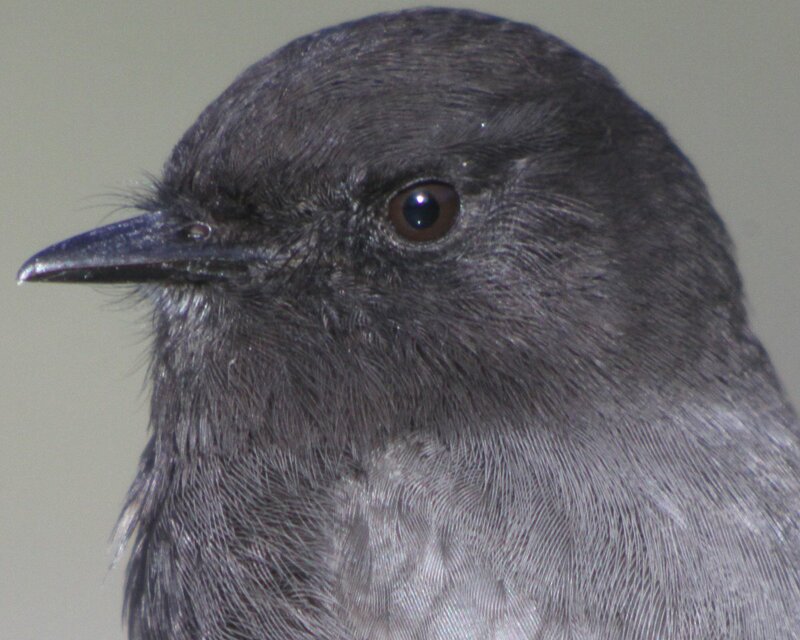 Black Phoebes often perch on or near the ground before sallying forth on flycatching attempts and also perch on rocks in streams or ponds to use a flycatching base. Sometimes they will actually grab fish or invertebrates from beneath the surface of the water. Whatever they are catching they are a joy to watch and it is nice to know that they are one bird about which conservationists and birders need not be concerned. 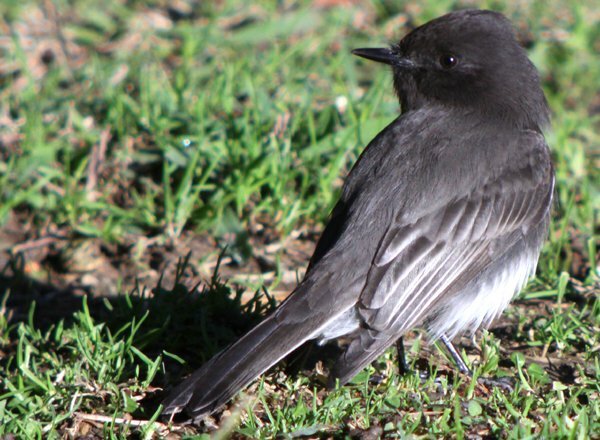 I hope you enjoy these shots of Black Phoebes taken in December of 2010 and January in 2011 in various locations in southern California. 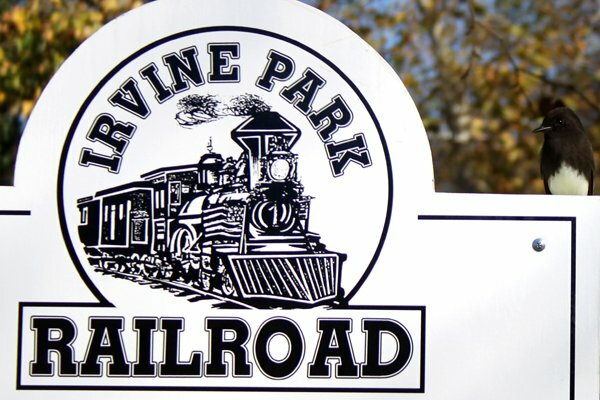 * Some of the images will be enlarged if you click them. *A couple of these shots were used in a previous 10,000 Birds blog post. 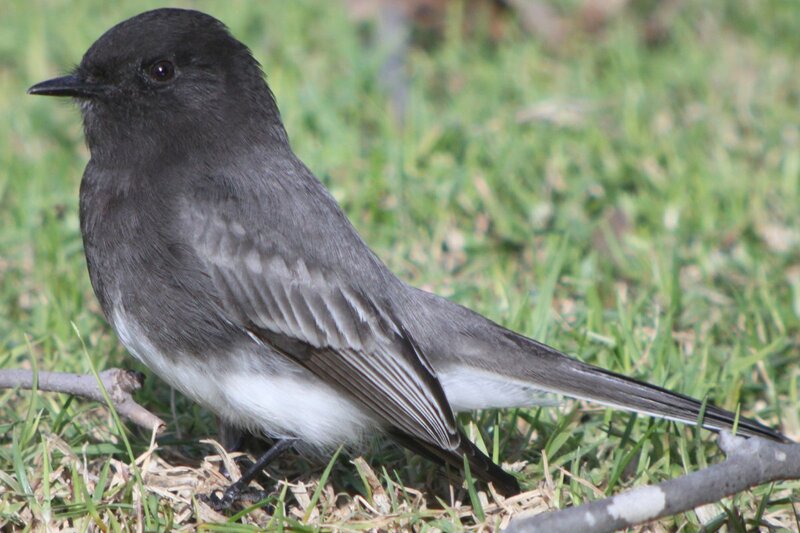 Love me some Black Phoebe. They are such cheerful, friendly birds. I just discovered this interesting and charming species. It’s worth noting that their range extends into the extreme southern Oregon coast, where I observe mine. 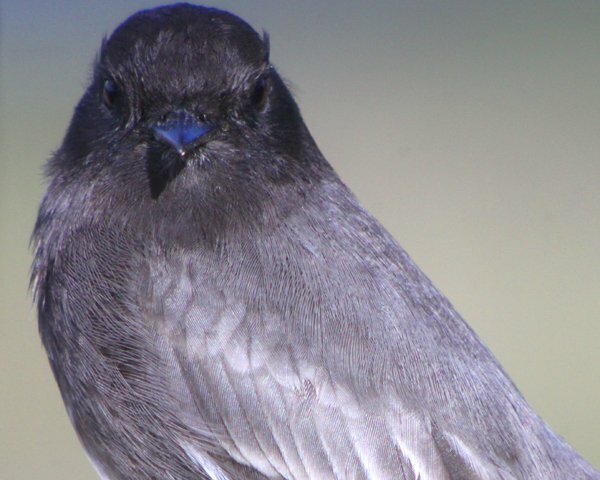 I saw my life Black Phoebe in the Texas Hill Country. I was on a field trip staying at Neal’s Cabins (now Neal’s Lodges) near Concan. We were told to go down along the stream and watch for them, and for green kingfishers, so looking along tunnels of green over clear water dashing around rocks for awhile before seeing the bird is a big part of the memory. From your posts I feel that black phoebes aren’t found in my area. I live in The eastern panhandle of West Virginia and up until today we’ve enjoyed watching one phoebe hatch 4 young-uns. They left my back porch where they nested on top of my porch ceiling fan today. During the nesting, there were sometime 4 adult phoebes hanging around the apple tree next to the porch. FYI, I’m enjoying your website. @Tom: You are likely seeing Eastern Phoebes…though, if they really are Black Phoebes and you can get a picture you should be ready to be inundated with birders! Where Are You Birding This First Weekend of August 2013? Where Are You Birding This First Weekend of 2015?